Do you like to crochet? These creative crochet projects are the perfect thing to add to your list. It is never to late to learn to crochet. I have taught people young and old this valuable skill. I love to crochet. In fact, I always keep a project in my purse, so that if I have any downtime or have to wait in the car I can work on something. It is a lot more productive than looking at my phone. Crochet is easy to pick up and learn too. With just a few steps you will be on your way to making something you can actually use and enjoy! Crochet also make the best handmade gifts! I love making fun things for friends and neighbors for the holidays. 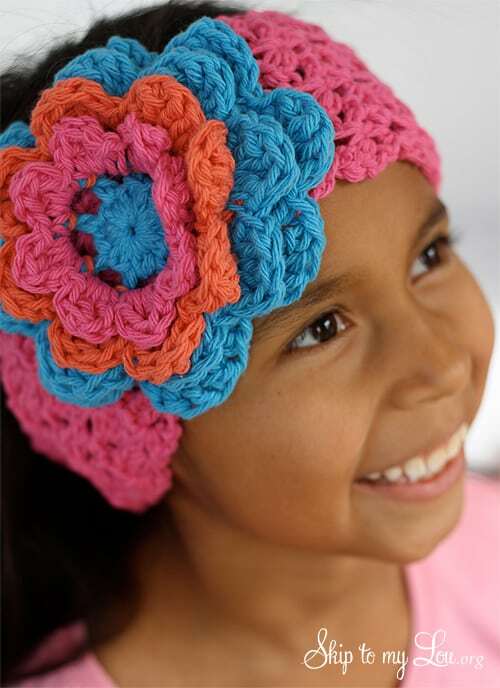 This crochet head band is so cute. It is the perfect way to pull your hair back. I It is fun choosing different color combinations for this one. I love the way these colors look together and so does Bella. 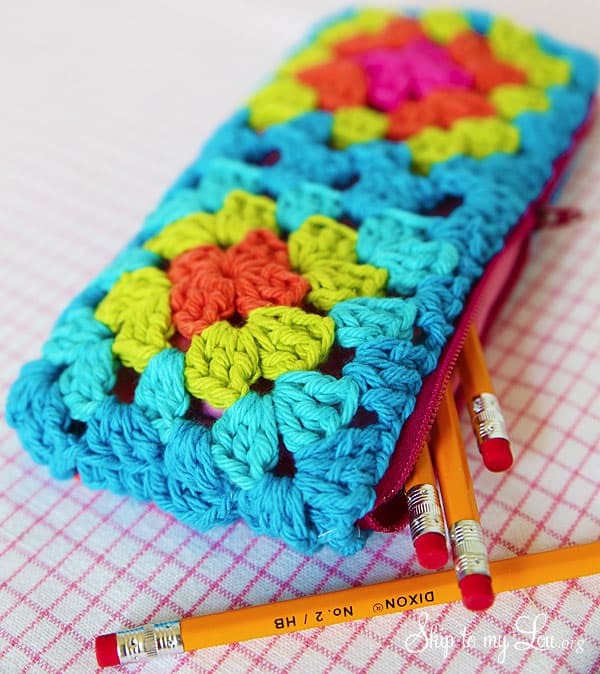 This crochet pencil case is easy to put together and turns out really cute. Don’t be scared of the zipper, I will walk you through it and it is really easy. 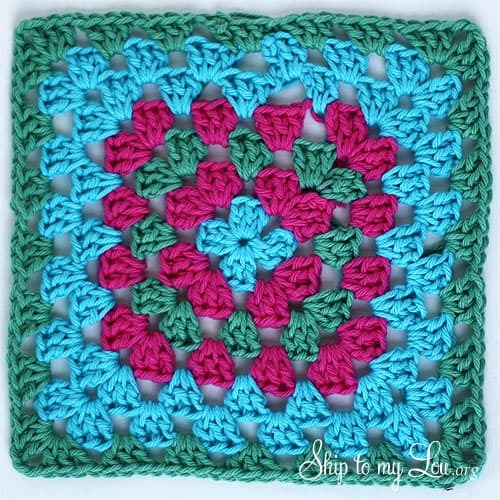 If you like granny square you should also make these granny square dish cloths. I love my crochet dish cloths. They work exceptionally well at scrubbing dishes and wiping up counters and tables. They are also very durable. 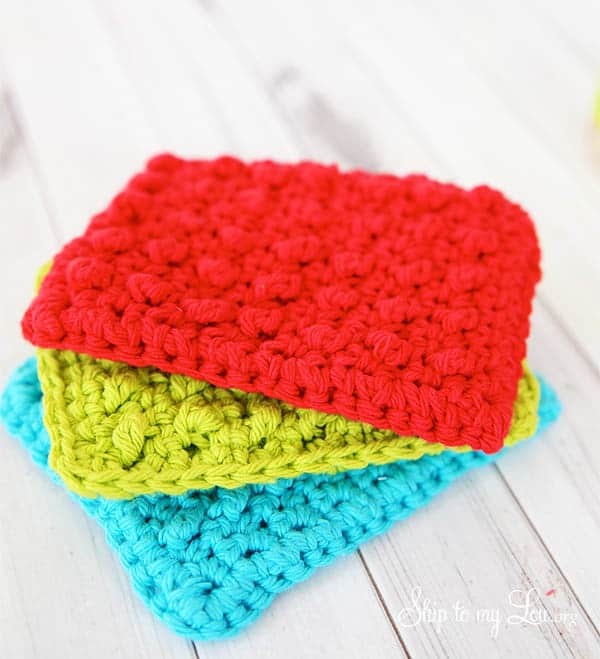 These crochet dish cloth sponges come together very quickly. I love to make them as gifts for friends. Everyone always needs a fresh dish cloth. They are sure to tell you how superior these are to anything you can buy. I have a lot of crochet projects here on Skip to My Lou. I have also hosted a crochet series with many talented bloggers so you will find patterns for everything from scarfs to baby booties. There really are so many fun things to make and crochet. I think my favorite are flowers. This crochet sunflower garland comes together so cute. You can even make a flower garland. I also have several for the holidays, one with Christmas ornaments, hearts, shamrocks and even Easter eggs. You all have a phone but do you have a Crochet Phone Cozy? Isn’t this a cute and unique way to store your phone? Be sure to stop by tomorrow for another Made by You Monday. I love to see what you are up to. Who knows, next week I might be featuring you.